15 Surefire Ways to Ensure Social Intranet Adoption. #6 Is Very Important! Creating a social intranet is one of the most beneficial things a modern business can do to move in a forward direction. Social intranet software is advancing at an incredible rate, and it is leaps and bounds ahead of where it was just a few years ago. It can help streamline business processes, saving time and money in ways that many business owners never thought was possible. With that said, implementing a social intranet is not without its hurdles, which often result from employee adoption issues. Getting employees to actually use your social intranet can be a challenge — especially in the beginning. For many people, a fear of the unknown (conscious or not) can be enough to get in the way of actually moving forward. Thankfully, there are a number of things you can do make sure your social intranet is not only being used, but to the fullest extent. 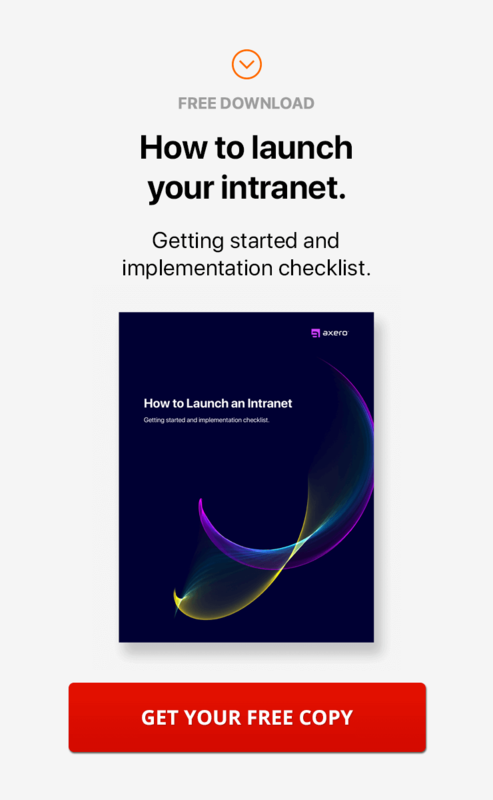 Start with the following tips, and get creative with how you promote the use of social intranet software to your employees. It's not uncommon for employees to get confused by the term "social intranet" when first hearing it. 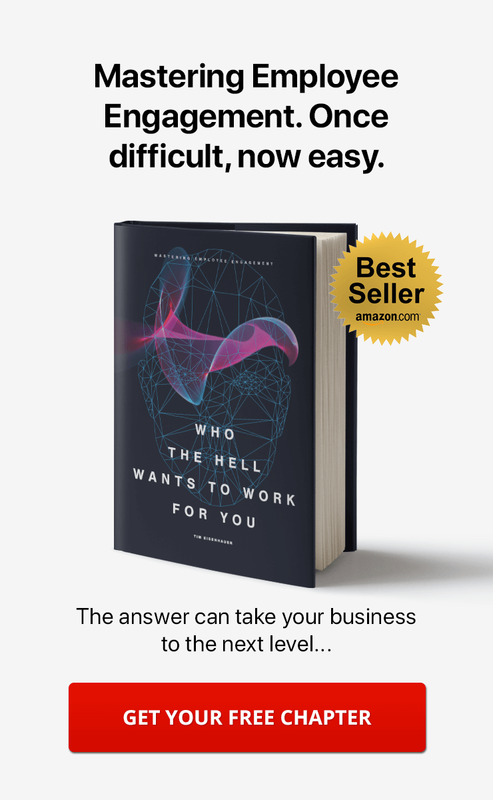 The thing is, there's a good chance that the majority of your workers are already quite familiar with social networks such as Facebook and Twitter, and while intranets certainly differ, there are enough similarities that making the connection can actually be a great way to give employees the confidence to dive right in. When you first implement a social intranet, you shouldn't expect too much out of your employees right off the bat. However, if you create a sense of urgency early on, you'll make it quite clear just how important the intranet is for day to day operations. 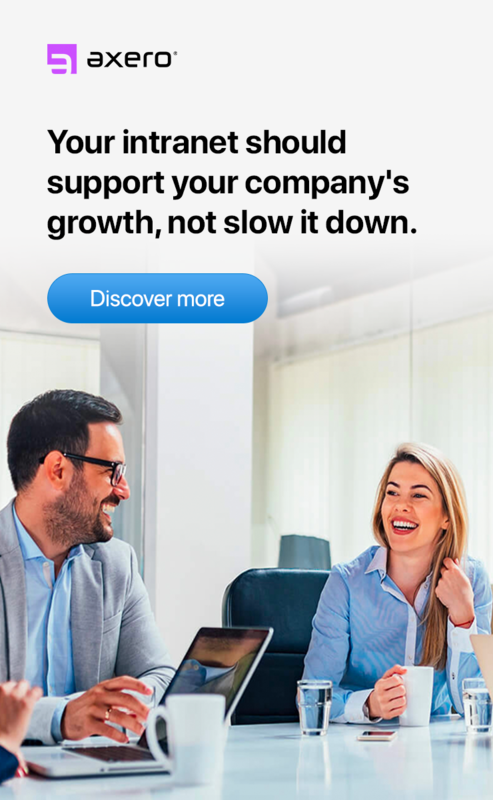 Your employees will be far more likely to utilize the intranet from the get-go if they know it's going to positively affect their job performance and experience at work. If there's one major issue that makes social media difficult to use, it's the abundant amount of content people create. As a result, searching for anything relevant is difficult, especially when there's a lack of organization. The same issues can occur in a social intranet, and poor search options can lead to frustration for even the most tech-savvy employees. Be sure that you have a well-built internal search engine, and never underestimate the importance of proper tagging within your intranet. It's a tried and tested reality that people tend to react well to comfortable situations. What often goes overlooked when building a social intranet is the outward appearance and user interface (more about this in #5). A bland and unappealing social intranet can actually decrease employee motivation. Start by creating a unique name for your intranet, and give it as much personality as possible. Ideally, your intranet should reflect your branding, especially if you're in an industry that allows you to get creative. There's nothing that will get in the way of intranet adoption like a poor UI. After all, why would your employees want to put in the time to learn your intranet if they can't navigate the interface? Even if they do, you can expect that they'll waste a lot of time figuring it out, which translates to wasted money. Focusing on your intranet's UI should be a major priority during the developing process, especially if you're building it yourself. If you choose to buy rather than build, be sure you're happy with the UI before moving forward. In many ways, your social intranet is similar to a daily newspaper for the community that is your company. One pitfall that can cause issues, then, is allowing for your content to get stale and out of date. No one wants to log in and see the same old thing for days or weeks. This can make it feel like your intranet has come to a standstill and that nobody is using it. By creating new content on a daily basis, you can overcome this issue. Think of it as adding grease to the wheels of your intranet, and do your best to stay consistent with content creation. Many CEOs believe they have to captain the ship of their social intranet, and in many cases, they're correct. At the same time, there's only so much that a single person can do to make sure the entire organization is properly using their social intranet software. This is just one reason why you should never neglect the importance of middle management. By tasking a mid-level manager or team of managers with overseeing employee adoption of your intranet, you'll be freeing up time to work on other projects while knowing that your social intranet is running smoothly. 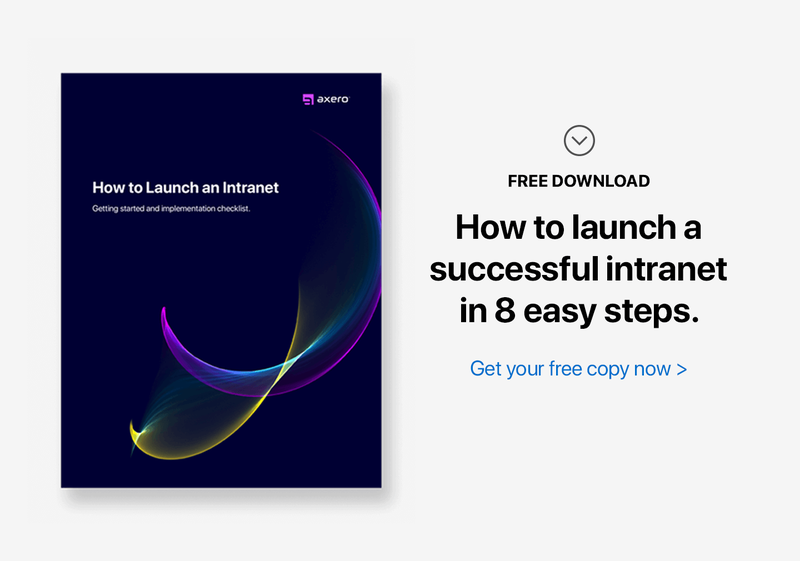 Before you fully implement social intranet software, you'll want to do everything possible to get your employees up to speed. Training sessions can be a lot to take in, however — especially if you intend to go heavily into detail. Breaking up your training sessions, then, is one of the most effective ways to ensure you're not overloading your employees with too much information. Each session should focus on one particular aspect of your social intranet software, whether it document management, content creation, or communicating in real time. If you feel the need, a review session can be helpful after your employees have had the time to internalize everything. When all of your internal processes appear to be working like clockwork, it can be difficult to make changes in fear of upsetting these processes. Social intranet software is an excellent platform for internal processes like sales and marketing, and switching things up isn't hard at all. Once you do, it'll become even more important for your employees to adopt the social intranet — you'll basically be taking care of two things at once. There's a very good chance that your employees want to be heard when they have something to contribute, so it's funny that many businesses make this more difficult than it has to be. This can easily result in employee frustration and fatigue. By empowering your employees to not only use your social intranet, but also contribute ideas and concepts, you can boost their confidence by a rather dramatic margin. Make it very clear from the beginning that the intranet is not only there to streamline business processes, but also to foster creativity and collaboration in ways that would otherwise be impossible. With so many different platforms to choose from, it's hard to know if you're getting software that is truly a good fit for your business. What may seem sufficient now may certainly not be good enough in the future. All of these "one-size-fits-all" template-based platforms typically give you a little bit of customization options, like changing the color of the header, uploading your logo, and integrating with other "one-size-fits-all" solutions. When it comes down to it, they are not customizable, which means you won't be able to change anything if your employees are having difficulty with certain aspects of your platform. Regardless of whether or not you choose Communifire ... always look for a software company that will tweak and make changes to your intranet if needed, as flexibility is the only way to ensure that it grows along with your business. There are many reasons why your staff may be hesitant to explain to you any issues they're having with your social intranet software. No one wants to admit that they're having a hard time with something, especially when they have to bring it up themselves. As a result, it's important to check in with the regular users of your social intranet software ... and ask whether or not they have any questions or concerns. Your staff will not only appreciate the fact that you care, but will most likely be honest, which can help prevent any issues from getting worse as time goes on. Social intranets are, of course, mainly used for professional purposes. However, you can break up the monotony by adding elements of fun, which will typically increase employee engagement and employee productivity. Contests, polls, and off-topic discussions all have their time and place in a social intranet, especially if you're hoping to build a broader sense of camaraderie among your employees. You don't have to go overboard — small elements of fun are usually all that it takes to make a big difference. The state of social intranet software is always in flux, which means you can expect new elements to appear as things progress. Taking an experimental approach to social collaboration will not only allow you to test the waters, but will excite your employees by giving the "same old, same old" a rest. If you have a bright idea that is perhaps a bit outside the box, don't hesitate to follow through with it. As long as it isn't too much of a risk, you'll have very little to lose. It can be easy to lose track of what's going on when your social intranet really gets moving, especially if you or your employees step away for a day or two. Notifications can help ensure that no one misses a beat. Whether it be via messages, shares, or tags, notifications can be just as effective in a social intranet context as they are in social media networks like Facebook and Twitter. Don't forget, though, that notifications sometimes have to be manually sent to employees. In most cases, there are ways to set them up for automatic delivery — each platform is a different animal. So don't let employee hesitation get in the way of successful implementation of your social intranet software. Clarify things early on, and you'll have very little to worry about.